Blending verbatim theatre, slam poetry and bops straight out of a Falls Festival line-up, an impressive ensemble cast of students delivered this experience with seamless energy and utmost precision. Taking on James, Lewis Ulm perfected the hamstrung straight boy, and his subpar chat about ATAR’s struck me as a conversation I could hear my younger-self having. Henry (Joshua Shediak) and Adam (Joseph Ingui) encapsulated bro-culture with ease, so much so that when I was standing at the urinal during the intermission, the guy next to me said, “How accurate were those guys?” Victoria Boult brought the main character Liv alive with moments of serendipity, notably her swift obsession over a boy marked by nimble shriek that “he’s going to be in my top three recently searched Instagram accounts for weeks!” Nostalgia aside, Helena (Dani Maher) and Claire (Sophie Colbran) revealed some heart-wrenching moments and seized the audience with the unthinkable. As a testament to the professionalism of the production, the crew were attentive and meticulous. 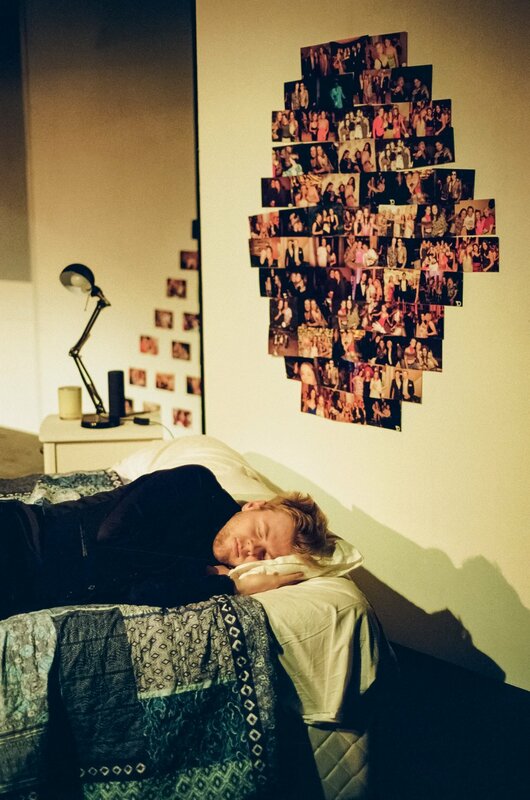 The set itself is recognisable - a bedroom with ubiquitous photo walls. The opening of the bedroom door was seamlessly synchronised with the boisterous sounds of the party outside. In addition, the effective projection of iPhone messages, those anxiety-inducing three little dots, and transient Snapchat filters on the bedroom wall invited audience reflection about our inner thoughts and how we edit our lives to make it seem better. If I was to offer one caveat, every so often the play felt like a story that has been told before. There was something unsettling about a troupe of all white, heterosexual uni students, still enmeshed in their northern beaches private-school-cliques. Yet, this on-stage experience resists total homogenization. The very title of the play shows that it is self-aware enough to ask questions that stimulate us think about things in a different way. For audiences looking for a lot to talk about, Rosie’s theatrical wit and thought-provoking writing is well worth the trek to the eastern suburbs.